At Hillside, many of our staff have up-to-date first aid training and we have a nominated Health and Safety Officer who oversees all health and safety issues. If your child becomes unwell or is hurt at school they will be cared for by our first-aiders. We will give appropriate care for illness or accidents and liaise with the child’s family members as soon as possible. We follow the Hong Kong Centre for Health Protection (CHP) Guidelines and meet the Education Bureau health standards. 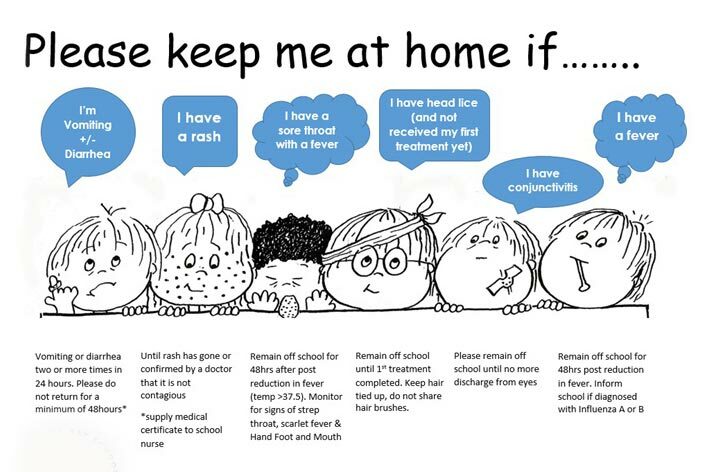 Keep sick children at home until symptoms have improved and the fever has subsided. Then, take rest for at least 2 more days before returning to school. Before sending children to school, measure their body temperature; record the reading on the temperature record sheet every day. We do not administer general medication for children, except for children who have medical conditions such as asthma, eczema and severe allergies (e.g. asthma puffers, Epi-pen…etc. ), where we will meet with parents and develop a Medical Action Plan to ensure we are well-prepared to provide the appropriate medical attention when required. These medications need to be kept in the classroom. No child should carry, or have any medication in their school bag at any time. We do all we can to provide a happy, safe and healthy environment for the children. Please help us in this by encouraging concern for others and developing good health practices.